Daphne AL has been showing tremendous growth, especially over the last several years. By driving through this great city, you’ll come across attractive, established neighborhoods as well as many brand new subdivisions. New construction is booming and more mature areas are still bringing in buyers, not only from the general area but also from around the country. Periodically I like to highlight which neighborhoods in Daphne attracted the most business during a particular season. 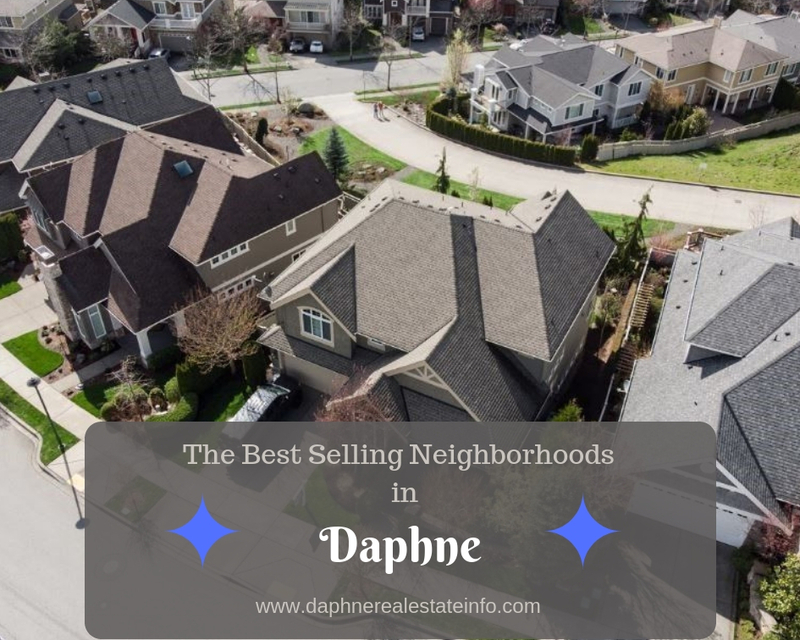 We are just finishing up with Summer so here you will find the subdivisions that had the most sales for June, July, and August 2018. As a whole, there were 296 homes that were sold in Daphne over the Summer months with an average selling price of $296,604. Click on any of the links below to see all of the available homes in that neighborhood. Here are the top performing areas….. 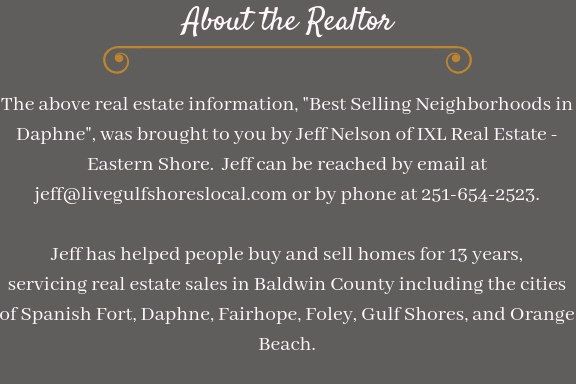 If you’re in the market to buy a home in Daphne I would love to work with you. I have the expertise to get you the best price with the least amount of hassle.